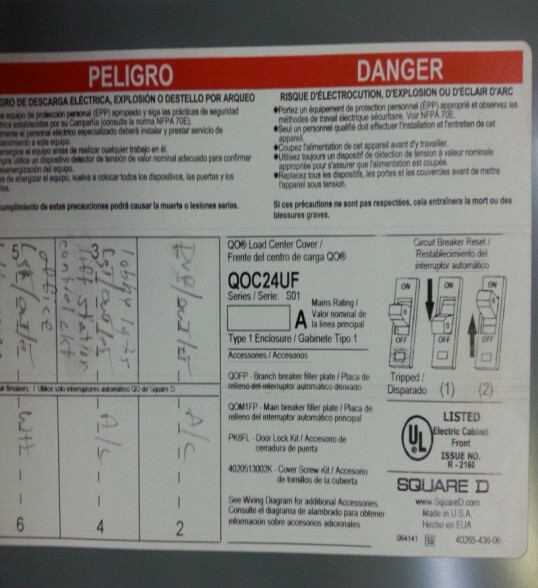 The main breaker panel is the most important part of having a safe electric system in your home or business. Having a service size of 150 or 200 amps could be adequate for most houses but depending on the age of the panel the technology has changed leaving old outdated panels unreliable and at times a hazard. 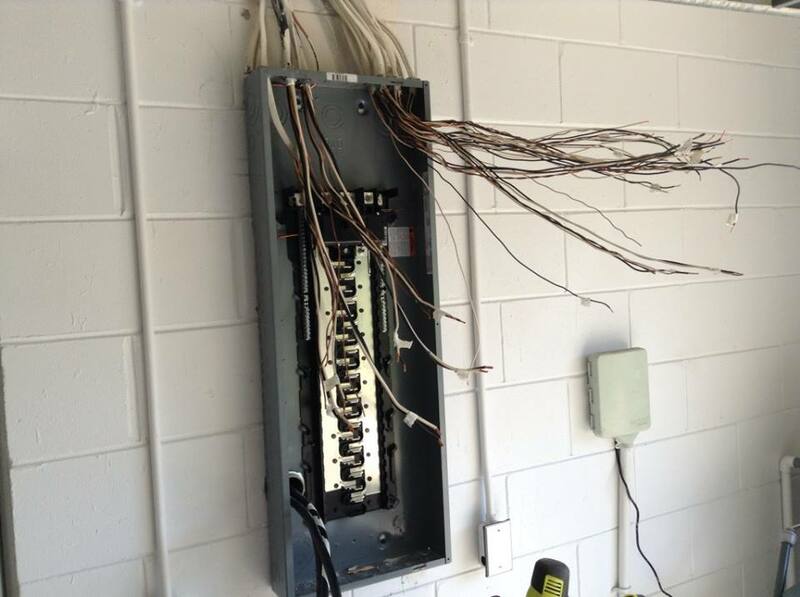 Replacing your panel box can save equipment that could otherwise be damaged if the breaker does not trip at the proper point. This unfortunately happens in older panels and can cause damage to equipment that may not be covered under your new equipment warranty. If your panel box was installed prior to 1980 we recommend you have it checked to make sure it is in safe condition and not in need of replacement. You can find the brand name of your panel on the bottom of most panel schedules inside the panel cover, see the example below. Most houses built prior to 1980 have services that are not code compliant in today’s world. Older services are under sized for today heat and a/c needs as well as modern day appliances we use on a day to day basis. Also they have no disconnecting means on the exterior of the buildings meaning that if there is a fire or any other problem with the electric on the inside of you house that power can’t be shut off to the house from the outside leaving our Fire departments with no quick way to disconnect power to fight a fire and may have to wait on the utility company to disconnect it a the pole or transformer before they can do their job, possibly causing more extensive damage or a total loss. New service upgrades have meter/disconnect combination device on the outside of your house with no wiring inside before it is protected by a circuit breaker. 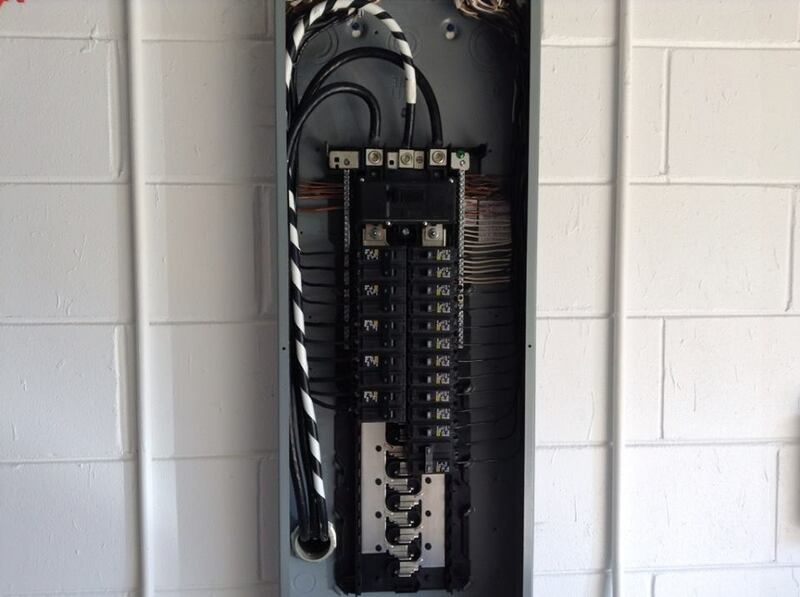 This job includes new service wire to JEA point of connection, new ground outside at meter can, and new service cable into the house with a new panel box with all new branch circuit breakers.